From Enchanted Disney Fine Jewelry, this two-tone diamond ring is inspired by Disney's Belle from Beauty and the Beast. Crafted from sterling silver, this diamond adorned rose princess ring will remind you that true beauty is a matter of the heart! 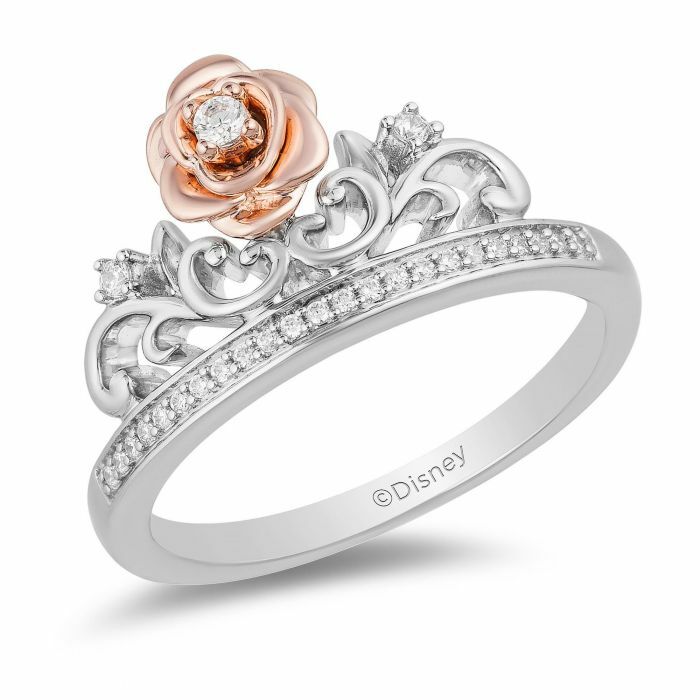 The iconic Beauty and the Beast rose makes an appearance with rose gold plating and a sparkling diamond center. Additionally, the leaves are designed with sweeping, romantic lines that add an intricate design element to the ring. The diamonds are 1/10ctw, J or better in color, and I3 or better in color.